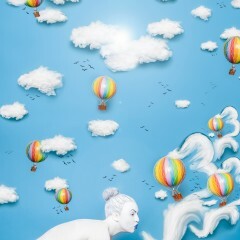 Artist Linda Blacker is an emerging fine art photographer, born and raised in the City of Chelmsford. Her work has a unique style, intertwining fantasy and reality to create eye catching, colourful results. 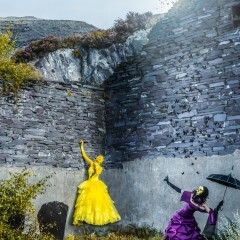 Linda Blacker’s distinctive artistic style is forging a powerful and prominent pathway in the photographic industry, creating a unique fantasy capturing the imagination of the viewer. Linda Blacker’s work is incredibly varied. She creates photographs inspired by fairytales, superbly crafted original characters, to truly emotive pieces inspired by personal experiences. Linda Blacker is becoming recognised for her story shoots which she launches online to her social following. Each new photograph is usually accompanied with an original short story, that her audience of over 90,000 followers enjoy, share and comment on. Linda Blacker is the creative director, photographer, stylist and editor of all her imagery, also building all of the sets she uses in her pieces. Linda Blacker’s goal is to take her viewer on a journey of escapism. Equally as important as creating beautiful imagery, Linda thinks it’s vital to include a narrative, a deeper meaning for her audience to explore. Linda Blacker is shooting for many exciting clients over the next few months, all to be revealed soon! 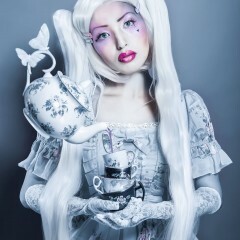 Linda Blacker regularly creates fairytale photo series’ featuring online celebrities, launched to millions of fans. 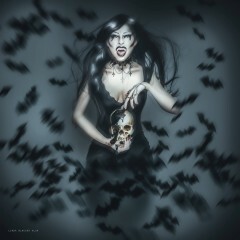 Linda Blacker has been published in many magazines, from Vogue Italia, Shots Magazine to MTV.co.uk.